We accept rug repairs to recover the appearance and color of your rug. Daily life can ruin your rugs. Foot traffic, family pets and spills can trigger smells, dust, dirt, oils and ashes to get stucked in the threads. Unless you intend to throw away an aged rug and pay for a brand-new one frequently, adequate maintenance is needed. Rugs will last for a longer time with routine cleaning. Rugs that are introduced to daily foot traffic will not last for a long time if your let particles and dust to build-up, even when the rug is made up of sturdy materials. All the dust that continues to build up on the rug will result in problems for the threads in the long run. We provide rug cleaning services to help your rug last for a longer period and appear more nice-looking. No problem is too taxing for us; we can take on wine stains, sauce stains and even coffee stains. If your dog has a potty mishap or if the baby plays "baby diaper blowout", you'll be relieved to find out that we've got what it takes to help you. If something happens to your rug, do not clean it by yourself. Rather, take a clean cloth and let it absorb the stain. Most of the cleaning solutions you will find in retail stores contain very strong chemicals that will only injure your rug's threads. Moreover, do not use water on a stain. This only makes the stain wider and could make the dyes in the rug bleed. Your rug could result in being discolored and the floor beneath the rug could also be ruined. 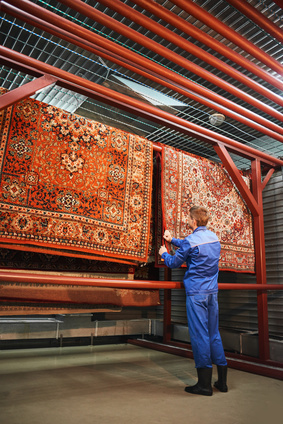 We are a professional rug cleaning business that offers cleaning, restoration and repair services. We will color test to make sure that the color pigments in your area rug will not wash up while it is undergoing the cleaning process. When it comes to cleaning rugs, we apply a 10-step method to make sure that your rug receives a deep and extensive cleaning. All the rug experts on our team have gone through advanced training. They can be consistently relied on to execute a superb job when repairing and cleaning your rug. We also use safe and hypoallergenic solutions that are guaranteed safe for your family and household pets. We are a reliable rug and carpet cleaning company and are experts in cleaning, restoring and repairing oriental rugs and carpets. We are aware that each rug needs its own kind of cleaning technique. 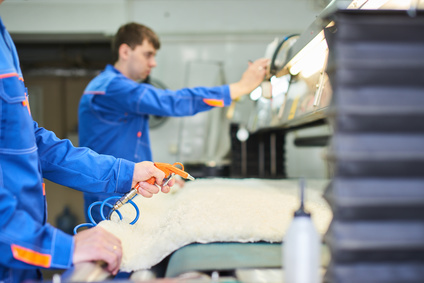 From silk to wool and sheepskin to cowhide, we will make sure that your rug is cleaned using the most ideal technique. We also clean exquisite Persian rugs or Central Asian rugs, Caucasian rugs, k Anatolian rugs, Chinese rugs, Kurdish rugs, East Turkestan rugs and Tibetan rugs. All our skilled cleaners are fully licensed and able to distinguish several types of rugs and fabrics to pick the most suitable cleaning method possible. We use only premium and modern cleaning tools. 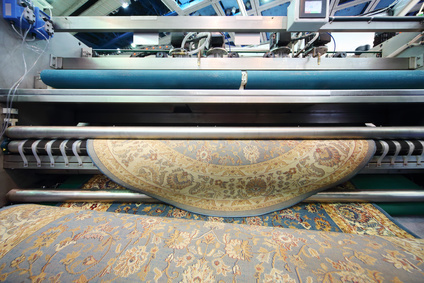 We have all the necessary equipment and tools to see to it that your rug is restored to its former glory. Connect with us as soon as possible so we can inspect your rug for free. The best part is that when you choose us to clean your rug, we will pick it up from your house absolutely free.